Blacktopia: Northern California Rapper Chris Chip's is making noise! 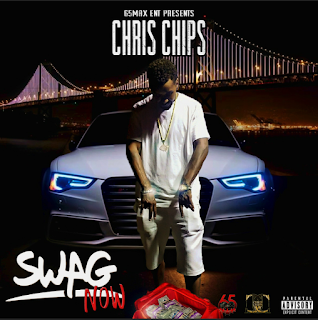 Northern California Rapper Chris Chip's is making noise! It’s not often you come across a person with such a broad scope of talent. A person so naturally endowed with every component necessary to be instantly thrust among the elite in his craft. Charisma he’s got it, stage presence he’s got it, lyrics he’s got it, hard work ethic he’s got it, that competitive killer instinct he’s got it! This is what Chris Chips brings to his fans. Satisfying the ears of the most discriminating listeners. He has set the bar high for his adversaries a verbal beat down with his words over hard hitting industry beats. His current single "Swag" has a dance-hall Caribbean feel with street credible lyrics, a definite club banger. You can expect to see a video dropping this month for "Swag" and it is available now on Soundcloud. This is the second single released from his upcoming album "Certified" scheduled to drop in February!